We dig deep into the 90s to reveal the unique story of the people, places, and albums that created the most controversial decade in rock music history. The last great decade of rock music. The violent collision of an alternative and mainstream culture marked the 90s. The angst of 80’s underground became the aesthetic of pop music with a single seismic F chord. It’s wake consumed the business and art of rock music through the decade. Buried back underground, rock has never reemerged into the sunlight of pop culture. Did the 90s kill rock music or preserve it’s credibility in a flannel-lined coffin deep underground? That isn't a question we set out to answer when we started the podcast. However, we find ourselves contemplating it regularly. Our weekly album reviews of covered alternative rock started to reveal patterns. 90s rock albums are long. Sometimes pushing using every bit of the compact disk’s 74 minutes of running time. There was also a lot of them. 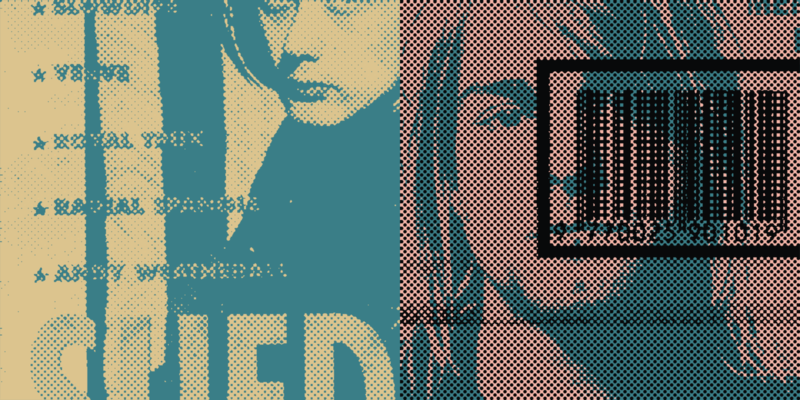 Major labels were lifting every rock to find the next Nirvana or Pearl Jam. Indie labels were thriving around the world and building baby bands into platinum selling artists. America, Great Britain, Canada, and Australia have revealed diverse local scenes that we’ve only begun to explore. Love these guys! If you’re a fan of alternative 90s music give this a listen. All these locations, songs, and people emerging in our weekly reviews begged for us to expand our scope of the show. There was a unique story here to tell that only time could uncover. A podcast was the perfect format to tease out the stories, connect the dots, and dig into the emerging themes. Our album reviews still tend to skew to the obscure. We explore essential scenes, themes, and bands of the decade in our roundtable discussions. The artists speak for themselves in our interview episodes. We’re assembling a community of rock fans who are creating the oral history of 90s rock-n-roll. DMO patrons keep our 400+ episodes streaming and make the next one possible. We are dedicated to making time to unearth your favorite 90s rock one album at a time. If rock and roll is dead, we won't let it rest. Help us connect more people to music regardless of when and how it was released. Pick a 90s album every 12 months to be featured on the podcast. You can even join us on the episode. Support the mission to dig up lost and forgotten music. Patrons take the wheel. We're handing over editorial control to a small group of wise patrons. Tim Minneci and J Dziak founded Dig Me Out in 2011. The show started by hitting the record button on their conversations of obscure 90’s records. We’re not typical music journalists or critics. No egotism, cliques, or snobs. We set aside the biases that may have existed when the music was released; put fresh ears to music buried under a mass media permafrost. Dig Me Out combines the passion of a community of rock music fans with musicians’ ears to pull forward surprising insights and perspectives. Tim and J met at Bowling Green State University while working at the campus radio station, WFAL. Beyond college radio their passion for music grew into a friendship centered on both appreciating and creating it. From 1998-2004 Tim and J were members of The Stepford Five; releasing three albums and touring the midwest. The band joined the tale end of the alternative rock explosion of the 90s while surfing the early digital music wave of the early 2000s. They leverage this front row seat to the rock band experience in how they listen and understand the music they review. Follow us on Twitter for episode posts, 90s rock news, contests and more. Like us on Facebook for episode previews, posts, and great 90s rock conversation. Follow us on Instagram for episode posts, 90s rock news, contests and more. Become a patron and get exclusives and even earn album reviews. If you like the podcast please subscribe and leave us a rating and review on iTunes.